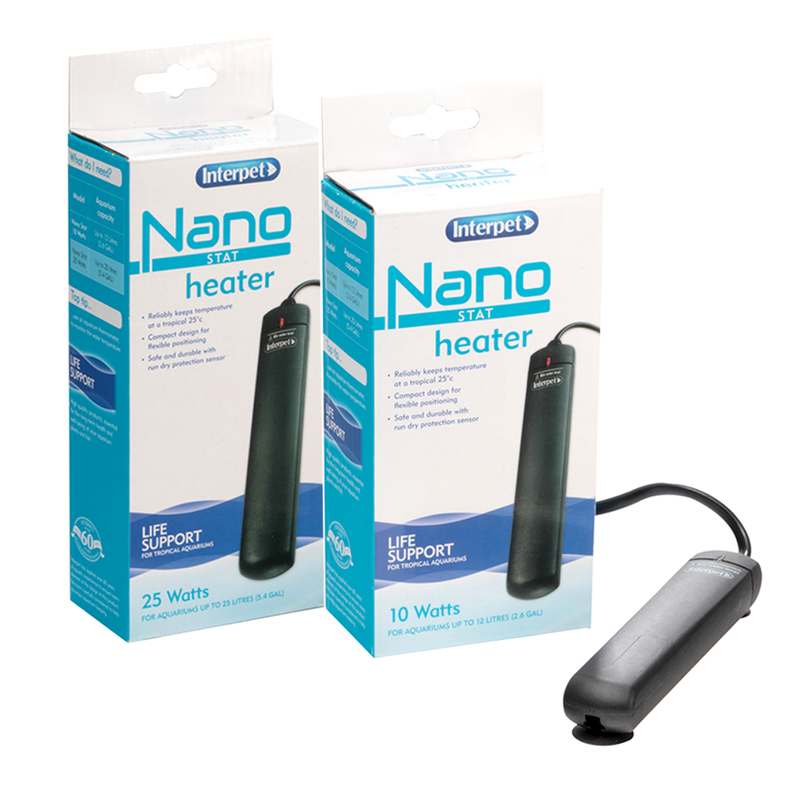 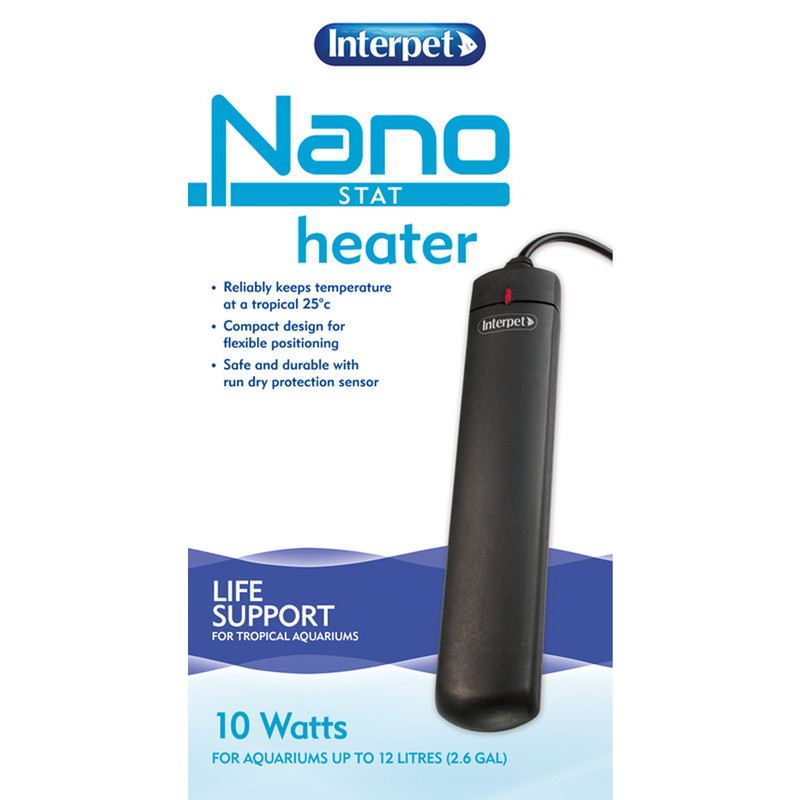 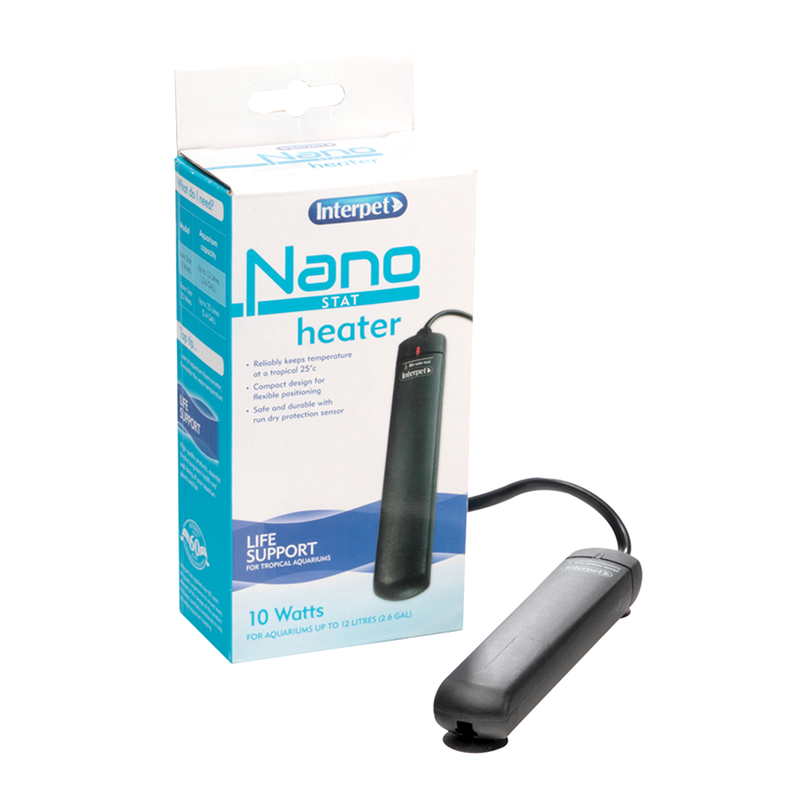 The Nano Stat Heater by Interpet is a reliable Aquarium Heater which includes a in-built thermostat, allowing for complete control over the water temperature in your Aquarium. 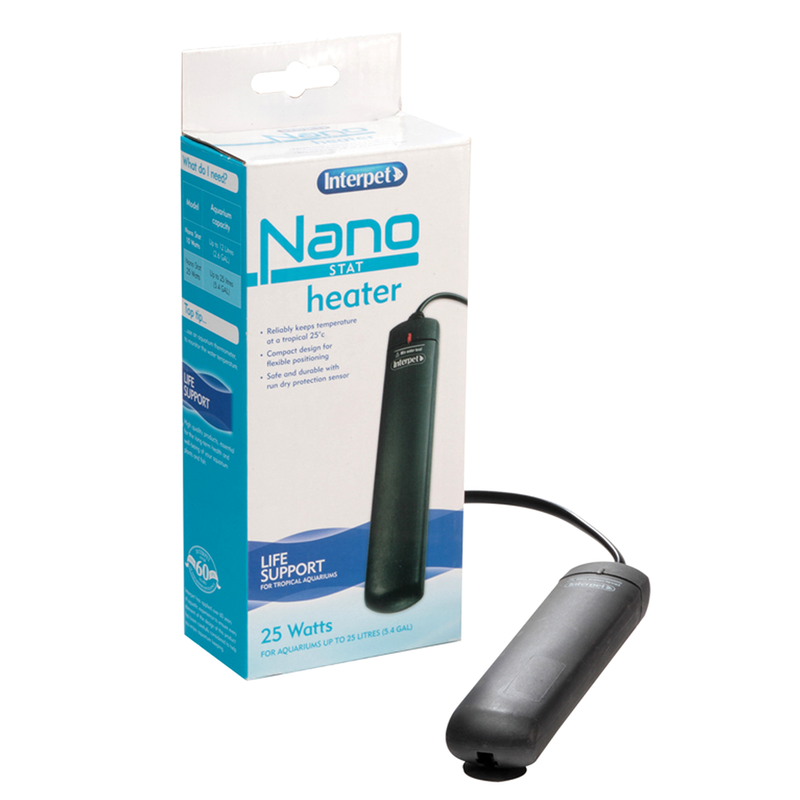 Keeping the water temperature correct is important for maintaining a strong and healthy environment for fish and live plants. With both a 10 watt and 25 watt Heater to choose from, you can select the correct heater size to best suit your aquarium. 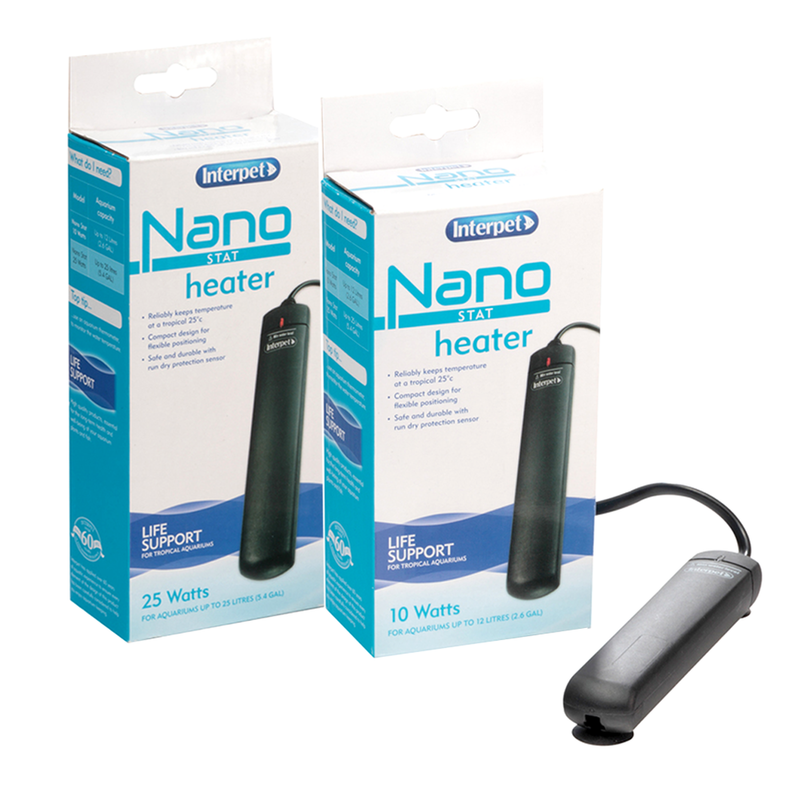 The Nano Stat Heater keeps water temperatures at a tropical 25°c all year round and simply attaches to the inside of the aquarium (via suction cups). 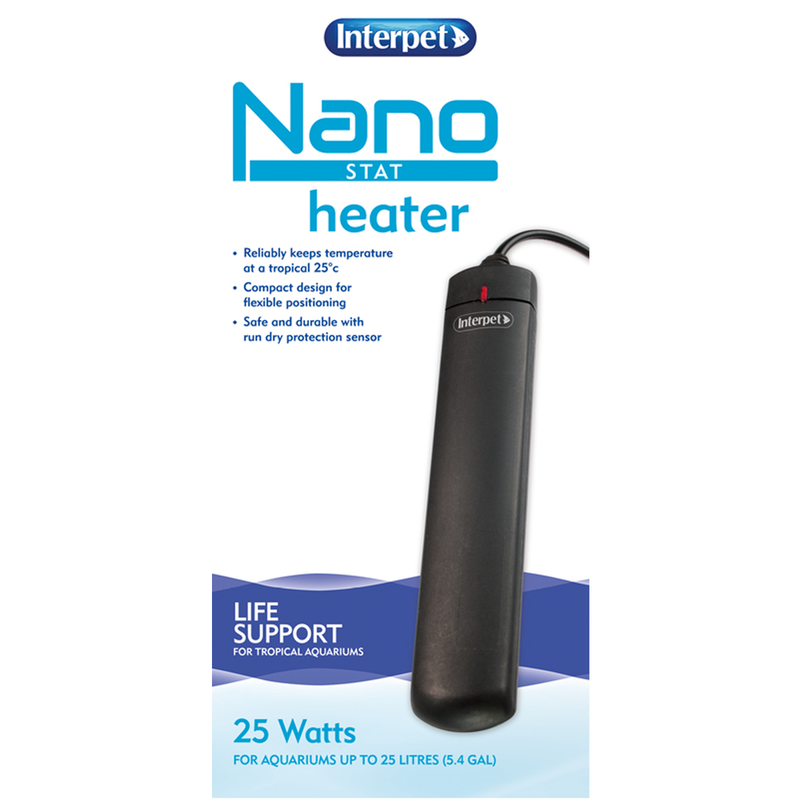 With its compact design, durability and safe run dry protection sensor the Interpet Nano Stat Heater makes a perfect heater for your Aquarium.